There’s a Butterfly Bush at the back of our house that just can’t seem to grow. I’ve had some before and they grow into absolute monsters of bushes. But this one just doesn’t seem to get enough light, or maybe it doesn’t have enough space. I don’t know the issue. It just doesn’t grow like it should. In late January, or early February, I’ll take the clippers and cut back the branches. Why? My goal is to make the new growth on this bush better and stronger and to make it even thicker and bushier than before. Sometimes that’s the work of pruning. We take branches, flowers, etc., that are not productive and we cut them off. The purpose is so that the plant will be more healthy and that it will produce more fruit. 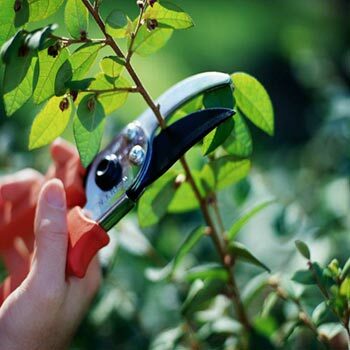 Sometimes, pruning means taking perfectly good and growing branches and cutting them back to to lead to a more productive plant and more fruit. And the more I’ve thought about this image, the more I’ve thought about church life in general. Sometimes churches just seem to be reluctant to prune. We carry ineffective and sometimes even nonfunctional ministries, programs and missions simply because we don’t want to cut them away. Some ministries and missions are so ineffective that they are actually sucking resources away from productive ones, but yet we still prop them up. Some ministries and programs are no longer relevant in a modern context. In other words, time has passed them by. Yet, they are still the sacred cows of ministry that we don’t want to sacrifice. I’ve often wondered what it would look like in a church, district, even denominational setting if we had to bring all of the programs to the table and really answer the tough questions. Does this still work? Would it work if we poured everything we had into it? Is this ministry just going to be a victim of time and changing culture? If we would truly answer those questions, then maybe what we might, just thinking outloud here, what we might find is a tremendous opportunity to do something new that is vibrant and speaks in this generation. One door might close, but so many others could be there, waiting to open to take its place and even exceed what the old program could have ever done. As denominations look at declining numbers and a turn away from religion, maybe the answer isn’t a radical dumping of everything that defines us. Maybe the answer is to look at what we do have, what we do offer and ask those hard questions.